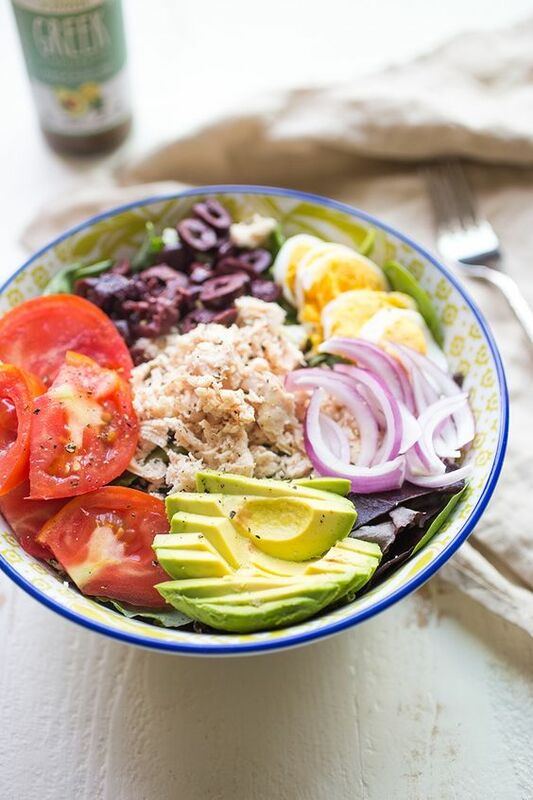 As much as I love cooking, I am also a huge fan of 5 minute meals that are both satisfying and delicious. Truth be told, cooking takes time. The key is to incorporate quick, easy meals and dishes with slightly longer prep times into the week in a way that works for you. For me, weekdays mean non-stop craziness. It isn’t uncommon for me to realize I’ve skipped a meal during the day because I am so busy working. Skipping meals on a regular basis is definitely not healthy for me, so I always like to make sure I have lots of ready to go ingredients that I can combine into a dish in under 5 minutes. For this Paleo Greek Salad, I use Wild Planet Foods Organic Chicken and Primal Kitchen Foods Avocado Oil Greek Dressing. I also make sure to prepare the hard boiled eggs ahead of time so I can throw this together quickly. 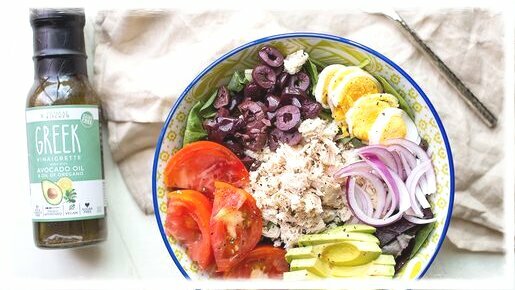 Add mesclun mix to a large bowl and top with chicken, olives, tomato, hard boiled egg and red onion. 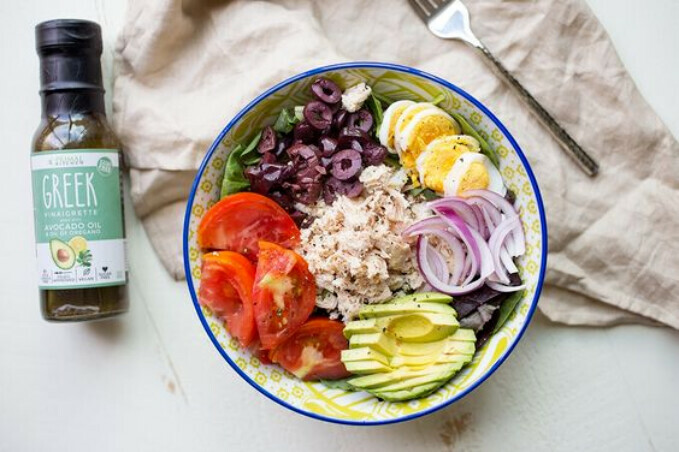 Dress with Primal Kitchen Foods Greek Dressing. It is!! And so freaking easy! Yummy! I look forward to packing this for my lunch. Sounds and looks delicious!